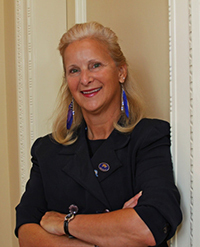 NAADAC's Executive Director, Cynthia Moreno Tuohy, BSW, NCAC II, CDC III, SAP, presented a two-day training on Romancing the Brain: Conflict Resolution for Recovery. Attendees earned 14 CEs! 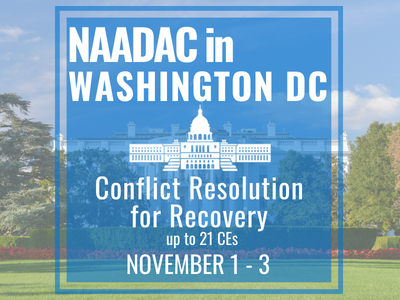 Do you want to learn how to provide Conflict Resolution for Recovery training to other qualified individuals? Cynthia Moreno Tuohy also presented the full-day Train the Trainer training on November 3, 2018. Registrants must complete the two-day Romancing the Brain: Conflict Resolution for Recovery training to be eligible for the Train the Trainer training. Attendees earned an additional 7 CES! Train the Trainer attendees must bring a laptop and a CRR Training Kit to the training. Do you want to sponsor or exhibit at this event? Download the prospectus and learn more about how you can sponsor or exhibit. The prevailing resort fee at time of check in (currently $22.00 per night) will be added to your guest room rate. This fee will cover several amenities, including bus transportation to a number of locations throughout National Harbor, a daily credit of $10 for dry cleaning, limited local and domestic long distance telephone calls, high-speed internet access, daily newspaper available at Key Provisions, two bottles of Aquafina water per room per day, Fitness Center access & pool, and a coupon book with a valued savings of over $100.